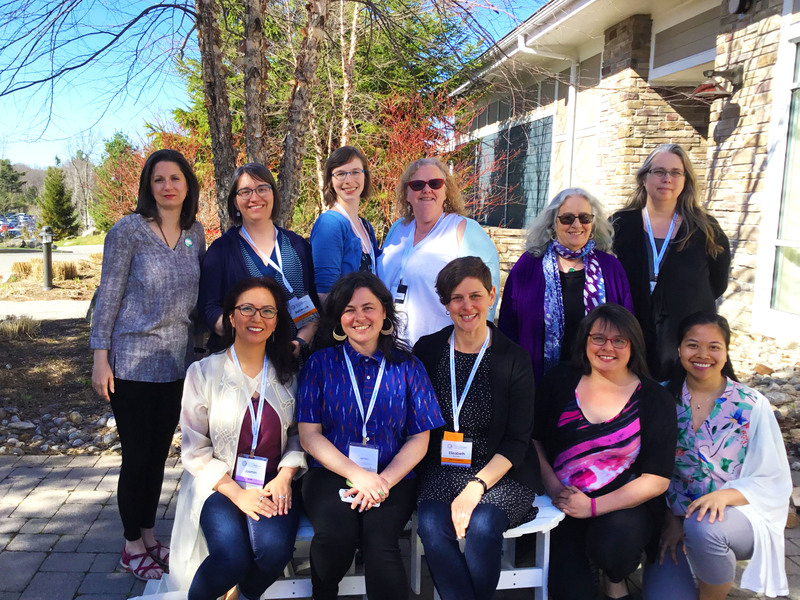 2018-19 AOM Board back left to right: Kim Coutier Holtz, Rebecca Carson, Liz Fraser, Anne Wilson (former member), Sarilyn Zimmerman, Andrea Cassidy. Front left to right: Jasmin Tecson, Simone Rosenberg, Elizabeth Brandeis, Melodie Smith, Bounmy Invathong. Not pictured: Carol Couchie, Genia Stephen. Times are changing. Our membership is changing. And now our Board of Directors is changing, too! For the first time in over 15 years, the Board recommended, and membership ratified, significant changes to the composition of the Board. These changes will help to make the Board more responsive, will better reflect the diversity of our members, and will more closely match member skills and knowledge to achieve our strategic plan. As our governance structures move away from geographic representation with the elimination of regional representatives, we replaced six regional coordinators with six additional member-at-large positions, three of which will be Board-appointed. These new positions enable our Board members to appoint members based on skill, knowledge, experience, or a demographic representation. The board provides strategic guidance, financial oversight and contributes to the vision of midwives leading reproductive, pregnancy, birth & newborn care across Ontario. The executive comprises four roles: president, vice-president, secretary and treasurer, each of which is a two-year term that can be renewed once. Meetings are held five times per year: two in-person meetings at the AOM office; two teleconference meetings; and a multi-day, in-person intensive held every November just outside of Toronto. Board members are asked to be off call so they may attend all board meetings during the year. Learn more about the 2018-19 Board of Directors and be sure to visit our board elections page. To learn more about the important work the AOM and our Board of Directors is engaging in, check out our past annual reports!